The first Japanese car to win a Group A WRC race wasn’t a Subaru. It wasn’t a Mitsubishi, either, or a Toyota. It was a Mazda. 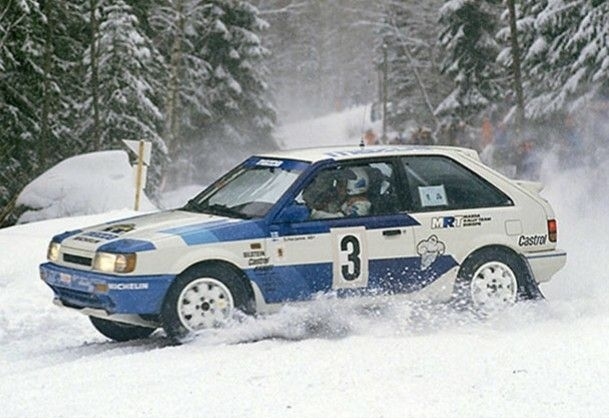 On Valentine’s Day 1987, the humble Mazda 323 4WD (known as the Mazda 323 GTX in the US), won Rally Sweden, ahead of cars like the Lancia Delta HF and Audi Quattro. The winning car was driven by Timo Salonen with Seppo Harjanne navigating, but a second Mazda 323 4WD also finished in fourth place. Just remember that next time you see a small Mazda hatchback. tagged: 323, familia, mazda, wrc. The inaugural year of the FIA World Rally Championship (‘WRC’) was 1973. In 1973 Nissan took an overall win on the East African Safari Rally with Shekhar Mehta/’Lofty’ Drews in their works 240Z, so that would be the first ‘WRC’ event overall win for a Japanese manufacturer. Quite right. I should add Group A. 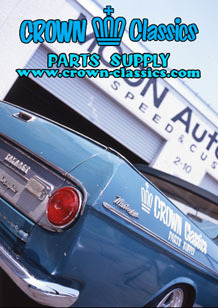 Yes, the 323 GTX was a durable engine for a FWD Mazda. Turn the engine around and add a dual overhead cam, and that became the engine for the MX5 Mazda Miata originating in 1989. Presently, the MX5 Miata is the most raced car in the world. I had a 1988 GTX that I bought new. Loved it, but like Will said, the gearbox was fragile and mpg was dismal. I ended up trading it on a ’91 Civic Si, but there are days I miss my GTX.